A three month program designed to deliver qualified tech talent to local employers and short-term professional experiences to competitive Lehman College undergraduates. If you're an employer interested in learning more about hosting a TTP resident, please contact Lawrence Fauntleroy, the CUNY2x Director, at Lawrence.Fauntleroy@lehman.cuny.edu.  If you're a student interested in participating in the TTP Residency, please contact Ashley Alvia, the Tech Talent Pipeline Residency Project Manager, at Ashley.Alvia1@lehman.cuny.edu. The TTP Residency @ Lehman College is a semester-long program designed to deliver qualified tech talent to local employers and short-term professional opportunities to competitive NYC undergraduates. A partnership between the NYC Tech Talent Pipeline and Lehman College, TTP Residency @ Lehman College gathers valuable feedback from host businesses to better align tech education with the workforce needs of NYC employers. Lehman College, a senior college of The City University of New York, is located on a tree-lined 37-acre campus in the Bronx Borough of New York City. With more than 14,130 students and a wide range of academic offerings, Lehman prides itself on its excellent faculty and successful students that are empowered, engaged and educated.